Congrats to Al & his band (& Amanda Palmer) on their fight to the top of the Billboard charts. I was happy to be able to photograph Al with the kind assistance of shadowcaptain who acted here as the Voice Activated Light Stand. I'm very happy with the way it came out. Lighting was a single strobe in the small Photek Softlighter II (the 30 inch one), Nikon d700. 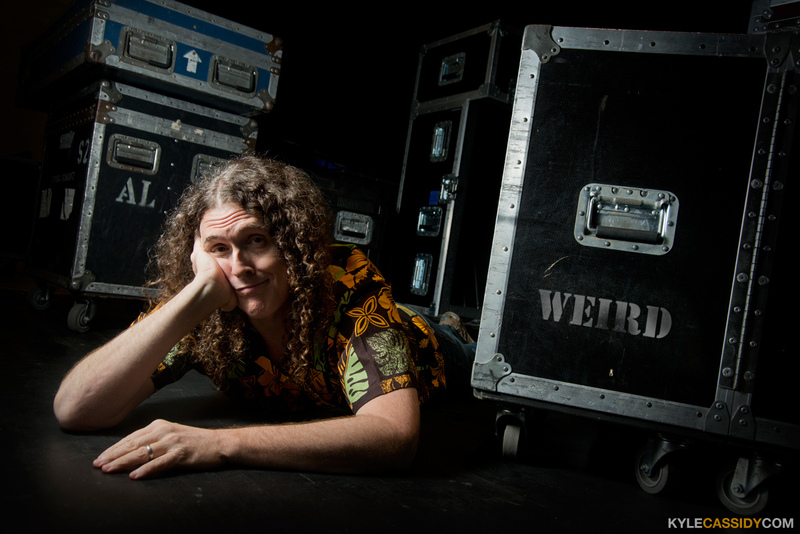 Weird Al. Clickenzee to EmWeirden!